Now, there are a couple points in the email that are a bit confusing. Though the email says it will suggest Google+ connections (as you can see in the bubble above), the function hasn’t started working for me. I tested a few letters of Google+ connections whom I’ve never emailed before just to see if it shows up, but it has not. Are you seeing the functionality yet? There’s a troubling portion that I’m also not quite sure how to translate. See below. As it stands right now, an email from a real person goes in my primary tab. Does the above mean that if a real person emails me, but isn’t in one of my Google+ circles, they will be relegated to the social tab? 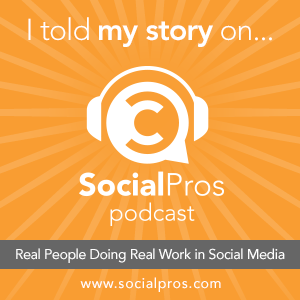 Will all first time emails from people go to the Social tab? I could see this making some people unhappy, especially if they don’t monitor their tabs consistently. The social tab, as described in the settings, is meant for “Messages from social networks, media-sharing sites, online dating services, gaming platforms, and other social websites.” Some people may not check it often, as it may simply be filled with updates from social networks. This could potentially get real emails lost in the pile. You do have the option in your General Settings. There’s a new option that says Email via Google+ which allows you the options of Anyone on Google+, Circles, Extended Circles, No One. You can adjust according to your comfort level. Have you seen the changes start happening yet in your inbox? 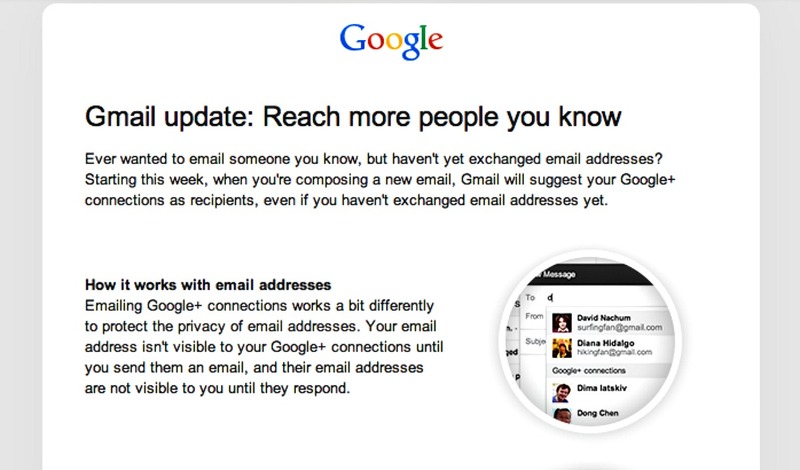 Have you received an email from a Google+ contact you’ve never exchanged emails with before? Do you see high spam potential here? Comment below and tell me what you think about it, or if you’ve seen any of the examples above. Like this post? You might also enjoy this one!